When asking a child how old they are, they always stick in the 1/2 in their answer. 7 and 1/2, nine and 1/2, always wanting to be older. Old people do it too. I remember my grannie was proud of her age when she got up there in her 90’s. She’d tell people I’m 94 and 1/2, I’m 96 and 1/2. 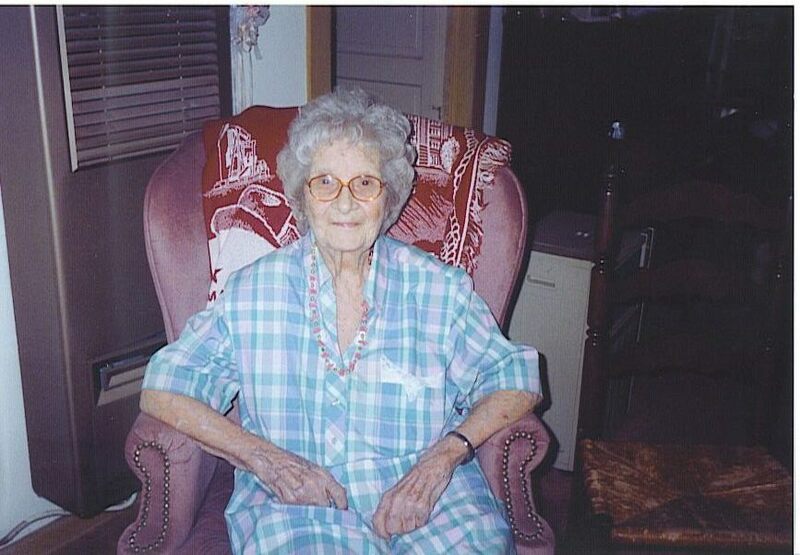 She died at age 98 and 1/2. She wasn’t always precious, she had her cantakerous moments and I never appreciated her like I do now. She’s been dead 5 years this October. Lately, I’ve been sick. I’m only 34 and 1/2 (not even) and I feel like I’m 80. I almost dread getting older because I know my body is not going to cooperate with it. I realize how tough my grannie really was. Sometimes, she was just annoying and meddling. I wish now, I’d been more patient with her and spent more time with her. Not to underestimate the great relationship we had. She was a dear lady. She influenced me in more ways than anybody on earth knows. I have dreams of her regularly. At the risk of sounding mystic, I wonder if it’s something more than a dream at times. I miss her today, but am thankful for knowing her.